Batman 3's secret main villain revealed? Recently, Comingsoon broke the news that the third Batman movie would start shooting in New Orleans starting in April. This has led a lot of people to start speculating about characters. And naturally, the name of Killer Croc has cropped up here and there on the internet. But comic book writer Mark Millar pushed the rumor even further. A few days ago Mark Millar tweeted these little factoids. First, Millar said he knew who the Batman 3 villain was, that he knew they were filming a big scene outside of Gotham, and this villain was one of his favorites as a boy. All of these statements alone do not point to Killer Croc — but pair them with the New Orleans rumors, and the internet's penchant to blow things wildly out of proportion, and you have a confirmed statement that Killer Croc is, in fact, the next Nolan Bat-villain. And he will be played by The Rock. Just kidding. And we'd really love to see what Nolan and company could do with this character and his strange backstory, wrestling crocodiles. It's more fun than talking ad nauseam about the Riddler, anyhow. Not to say that we think there will only be one villain — why stop having two villains in every Nolan Batman movie at this point? 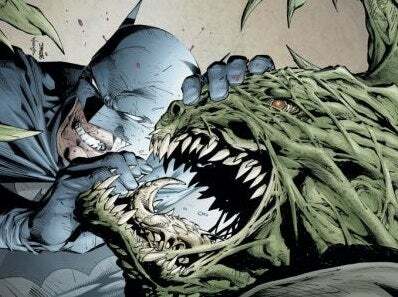 So maybe it is, or maybe it isn't — would you like a giant crocodile man in your next dark-n-gritty Batman picture?